This book is about creating realistic models of building exteriors and interiors, and surrounding environment and scenery. 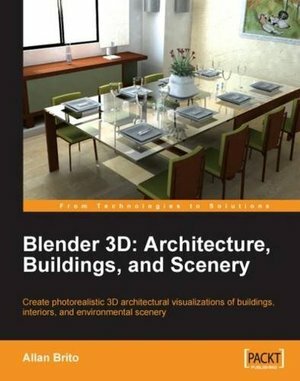 This book is for architects, game designers, artists, or movie makers who want to create realistic buildings, interiors, and scenery using Blender 3D, a free, open-source graphics tool. This book is not a general introduction to Blender, but focuses on developing expertise on the architectural aspects of the tool. Readers need not have prior knowledge of Blender.